All praise to you, Oh Lord, for all these brother and sister creatures. at a 1931 convention of ecologists in florence italy, october 4th was designated as world animal day. the date was selected because it is the feast day of st. francis of assisi, the patron saint of animals, as a way to calling attention to the plight of endangered species. over the years, world animal day has grown to celebrate all animal life. around the earth, the day is celebrated in a wide variety of ways - some communities hold all species parades, people walk with their pets or dress up in animal masks and costumes, special meetings take place concerning animal life, and most often the day is recognized with special pet (animal) blessings that are held in churches, temples or other locations. 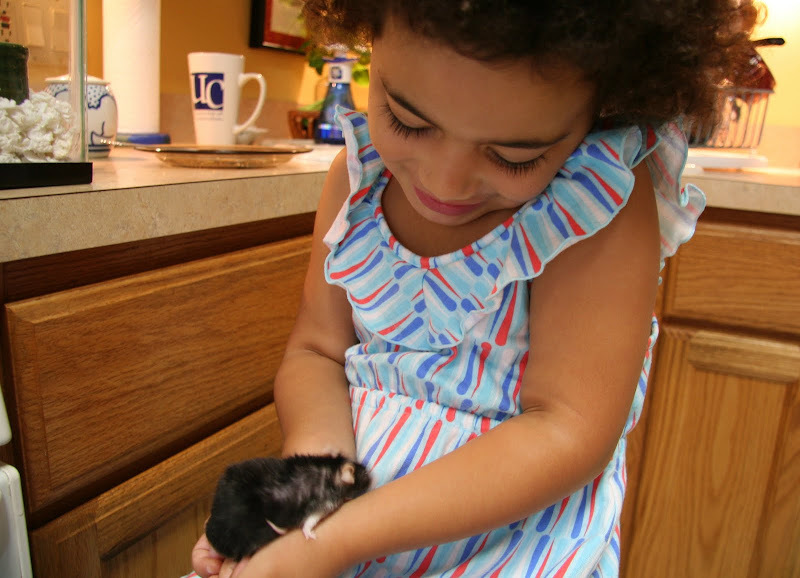 the picture is of ms. t holding notch, the mouse who lives here on avenue c. em, my daughter, gave notch to me as a mother's day gift in 2006. yes, notch is getting up there in mouse years; in spite his years (how many human years are there in a mouse year?) notch is lively and loving. like all animals, notch teaches many lessons if we are open to learning - here he teaches the importance of being gentle. guitar great and bluesman stevie ray vaughan performing mary had a little lamb in munich (1984). yesterday was stevie ray's birthday, he would have been 55 years old had he lived. tragically vaughan died in 1990 when the helicopter he was riding in crashed into a hill - the accident killed vaughan, the pilot and three members of eric clapton's traveling crew. What a great expression on the face of Ms. T! Give Us The Grace Of Animals.A Lovely Photo. Heh, heh! Ms T definitely looks enchanted. Great capture. Now that's a version of "Mary Had a Little Lamb" that would be hard to forget! Yeah, I miss Stevie Ray, too. I've always loved Ms. T photos. We once had a very nice mouse. We also had a very nice white rat. We've actually had many nice animals, but none nicer than Jake the dog. Yay for all the animals. I had no idea it was World Animal Day. I will give Amy an extra long walk today. tell me, do we have Ms T's take on Stevie Ray Vaughan's version of Mary had a little lamb? Cute and happy little kid. My best to her, comme d'habitude. That is one cute girl...I had no idea about world animal day, either. Thanks for the heads up! Extra petting and brushing all round at my house.